Description This Griffin, Georgia hotel has an outdoor pool, free internet access and non-smoking guest rooms. This hotel is also pet friendly. 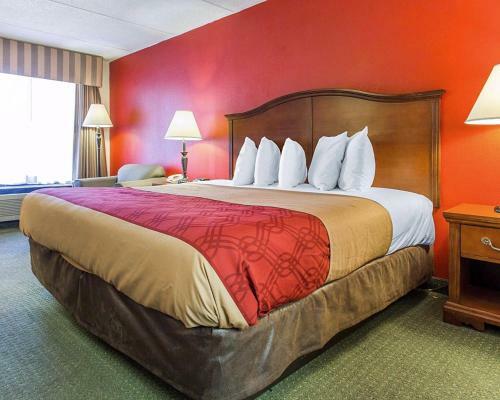 Free breakfast free Wi-Fi and an outdoor pool sweeten the deal at the non-smoking Econo Lodge Inn & Suites conveniently located near shopping dining and college campuses. 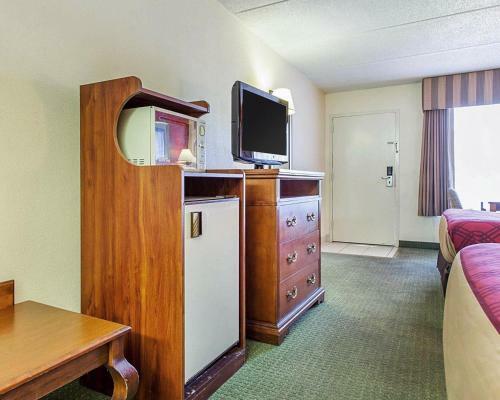 All 50 rooms at the two-story Econo Lodge include coffeemakers microwaves mini-fridges and free Wi-Fi. Units are accessible via exterior corridors. A hot complimentary breakfast awaits guests each morning in the dining area off the lobby. Burn those calories with a heart-pumping cardio workout in the fitness room or print boarding passes and check email from the guest computer kiosk. The outdoor pool and sun deck are open during summer months. The front desk is open 24 hours a day and parking on-site is free. 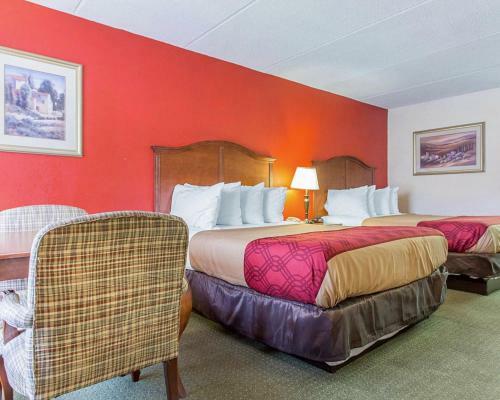 The hotel off Highway 41/North Expressway is within one mile of a grocery store and several shopping centers. The University of Georgia Griffin and Southern Crescent Technical College are within three miles. Other local points of interest include the Griffin Country Club four miles away and the Atlanta Motor Speedway 10 minutes north. Hartsfield-Jackson Atlanta International Airport is 29 miles north. 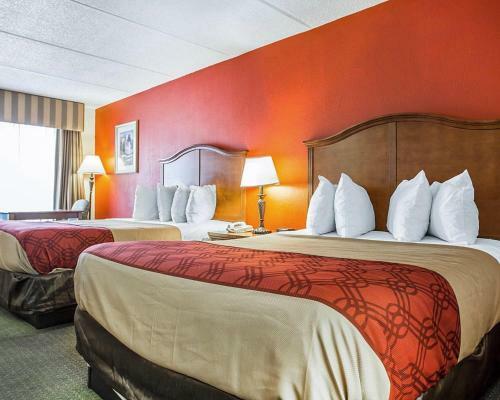 Add Econo Lodge Inn & Suites - Griffin to your free online travel itinerary.